Much of the joy of travel photography is seeking out and capturing images of little-known places and the ordinary daily lives of the people who live in them. But when we’re traveling it is also inevitable that we’ll come face to face with the world’s most famous, overexposed, iconic sites. You know, those places that are so often documented and discussed that we automatically associate them with the city or country where they are located. London has Big Ben, Paris has the Eiffel Tower, San Francisco has the Golden Gate Bridge, Tibet has Potala Palace, India has the Taj Mahal, Cambodia has the Angkor Wat temple complex, and so on. These sites have been photographed and shared so many millions of times that they are ingrained in our visual memories. But there are ways we can approach and photograph the world’s iconic sites so as to avoid the “postcard shots” and create something different. In today’s post, we’ll explore a few methods you can use to make less familiar images of the world’s most familiar locations. 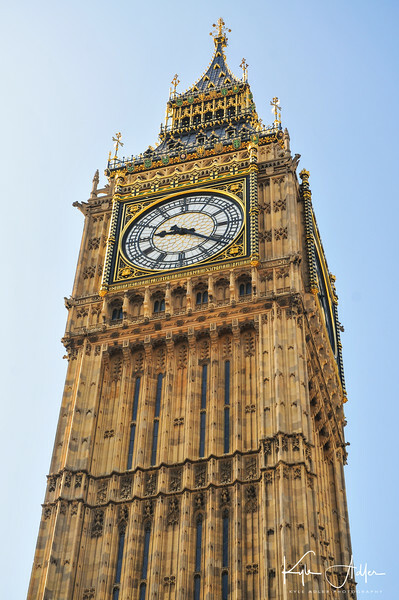 Focus on part rather than the whole: Instead of capturing an iconic site such as London’s Big Ben with a normal or wide-angle lens to include the whole structure, try using a longer lens or getting up close to capture just a portion. Embrace the crowds: Instead of working to remove the hordes of visitors from images of iconic locations, sometimes it is effective to embrace the crowds. This can create a “nod and a wink”, self-referential photo that tells the viewer we all know this site is a tourist draw. 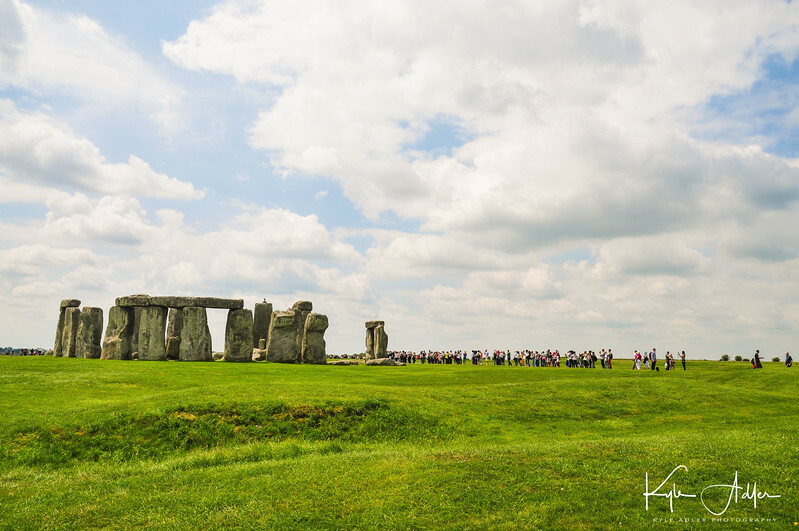 In this image of Stonehenge, I used a wide-angle lens to include not only the monoliths but also the long line of visitors who have come to see them. Try a different time of day: Many of the world’s most famous sites are associated with a specific time of day or lighting conditions. The Golden Gate Bridge, for example, is often photographed at sunset or as the banks of fog roll over it. 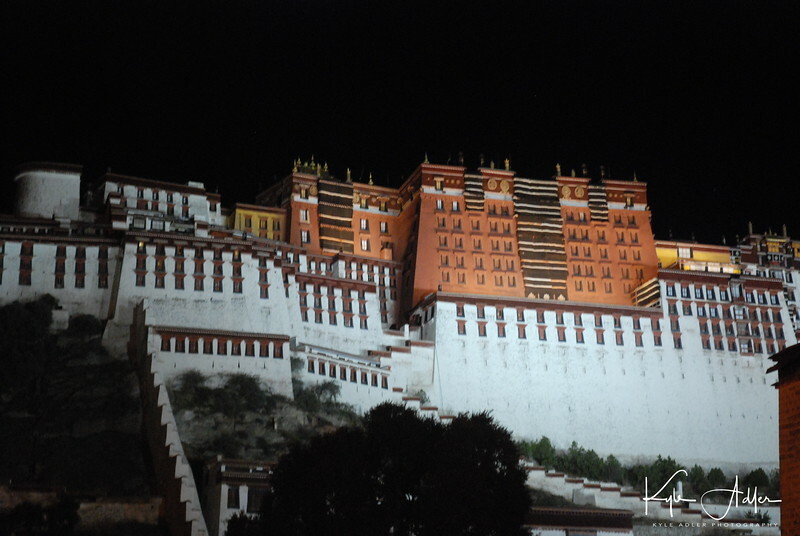 Tibet’s Potala Palace is usually pictured by day. So, for a different view of this lovely temple/palace complex, I visited it by night. The resulting images offer a different mood from the postcard shots. Incorporate unexpected visual elements: We associate certain visual themes with iconic locations, so surprise your viewers by including unexpected elements in your images. I especially enjoy incorporating anachronistic visuals, such as a Buddhist monk speaking on a cell phone (though even that is becoming something of a cliche these days). 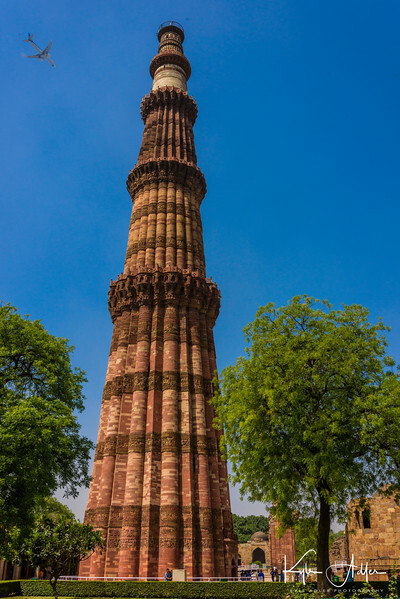 In this image of Delhi’s iconic Qutub Minar, I framed the shot first and then waited for the jetliner to enter the frame just behind the minaret. 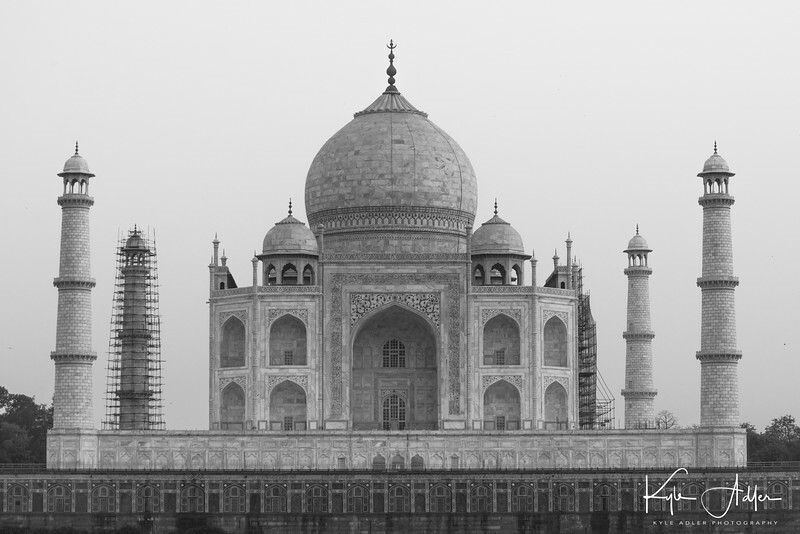 Find a different vantage point: The Taj Mahal is a gloriously lovely building, but its true beauty is often overlooked by photographing it straight on from the iconic vantage point across the reflecting pool at the main entrance to the site. Instead, try capturing the Taj from an unusual vantage point, such as the Moonlight Garden across the river from the back of the Taj. The resulting image will surprise the viewer by offering a less-seen perspective and by framing the iconic site in an unusual context. Next time you visit one of the world’s most overexposed sites, try making some images using one of more of these new approaches to surprise the viewer with something different. Avoid the cliches by emphasizing just certain portions of the site or by including crowds or non-contextual elements in your images. Shoot from a different vantage point or at an unexpected time of day. There’s really no need to add one more to the heap of millions of identical photos of these places, so go wild and try something unique! How have you created unusual images of the world’s most iconic locations? Please share your thoughts here!